Take four slices of sturdy bread, like good quality French bread or sourdough. Butter each piece well. Lay a few sage leaves directly on the butter. 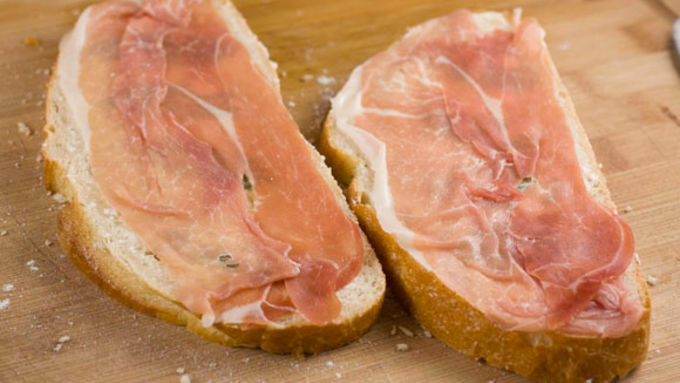 Lay prosciutto slices over the sage so it covers the entire piece of bread. Press on the prosciutto a bit so it sticks well to the bread. Slice or grate your cheese. Add one piece of bread, prosciutto side down, to a large nonstick skillet over medium heat. 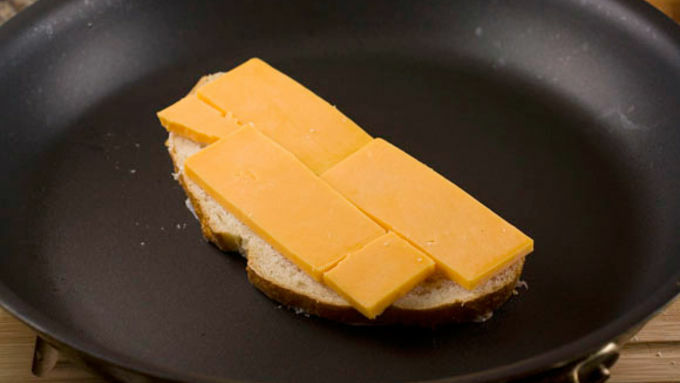 Add half of the cheese to the bread. Add the other piece of bread, prosciutto side up. Cook sandwich for about 4 minutes on each side, being careful when you flip it to keep the prosciutto on the bread. The sandwich is done when the cheese is melted and the prosciutto is crispy. I’ve made a lot of grilled cheeses in my day. I even went through a phase where it was my standard lunch. 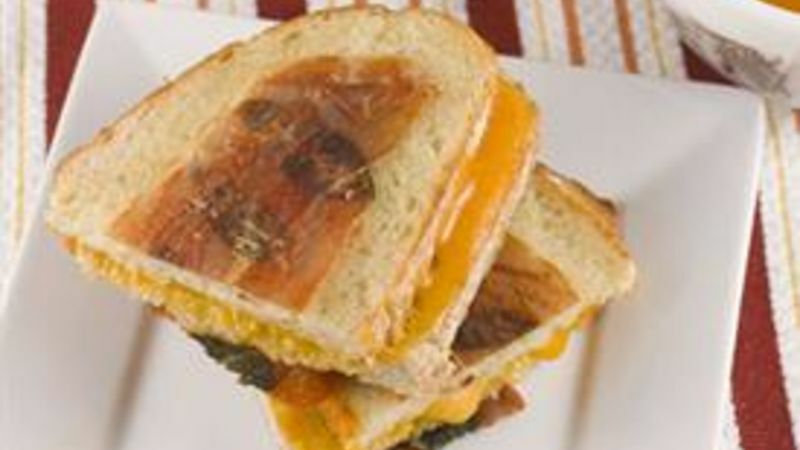 While the standard is good, it’s sometimes fun to really spice up a grilled cheese and see what you can do with it. While a lot of times this means changing the filling of the sandwich, you can also change the outside. There’s a traditional Italian preparation for chicken called saltimbocca where you put a thin layer of prosciutto on the chicken before cooking it. The cool thing about this is that the prosciutto gets super-crispy. Turns out this works great for a grilled cheese also. 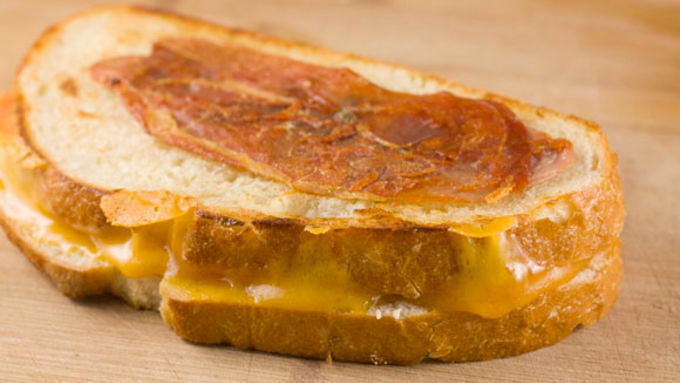 It’s almost like wrapping your grilled cheese in very thin, very crispy bacon. That’s why the saltimbocca grilled cheese is worth trying. This sandwich isn’t particularly hard to make. Actually, the cooking part of it might be easier than a normal grilled cheese. 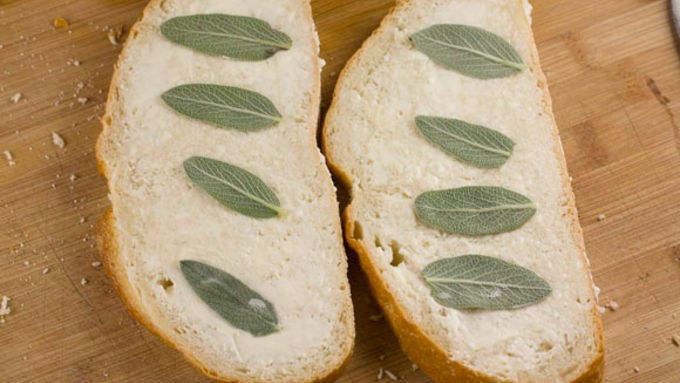 Sage is the classic herb for saltimbocca and it works great with grilled cheese, but you could use any fresh herb really. When it comes to bread, I recommend a nice sturdy loaf. You can either buy a nice sourdough loaf or try something like Pillsbury™ Simply French Bread. 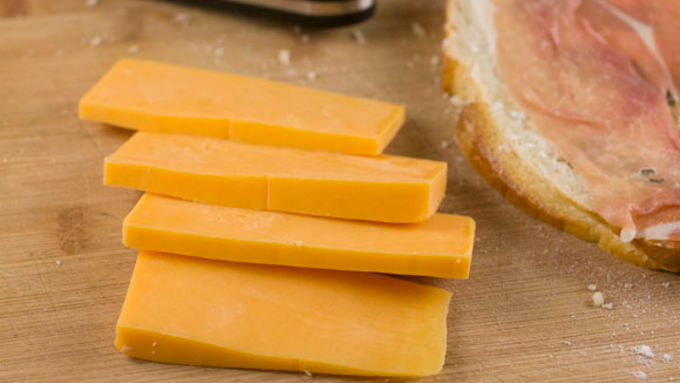 Obviously, you’ll need some cheese for this sandwich. I used a nice sharp cheddar, but feel free to get creative. Almost any cheese would be delicious with this. I like to slice my sandwich in half and also serve it with a simple soup, like tomato. Considering there’s very little additional work for this version over a normal grilled cheese, the payoff is huge. 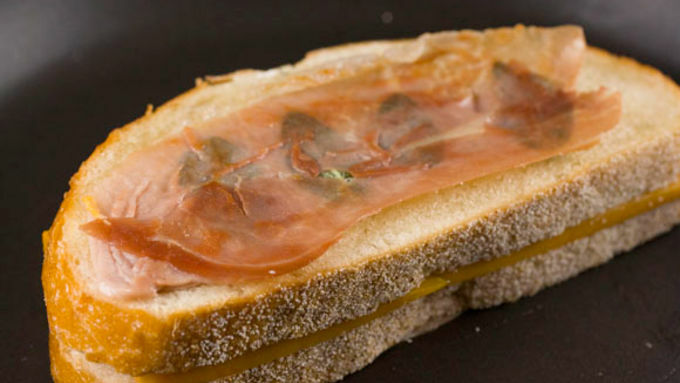 The finished sandwich has this nice herby flavor and the crispy prosciutto just takes it over the edge. 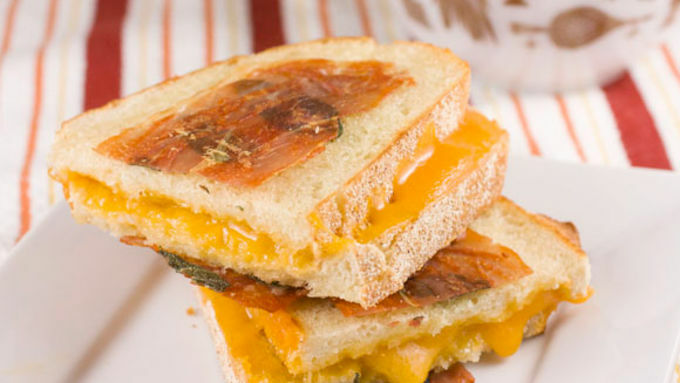 If you’re a grilled cheese lover (who isn’t) you have to try this!